The founders of Elliott Management Corporation hate to lose. In South Korea, however, they have met their match — for now. 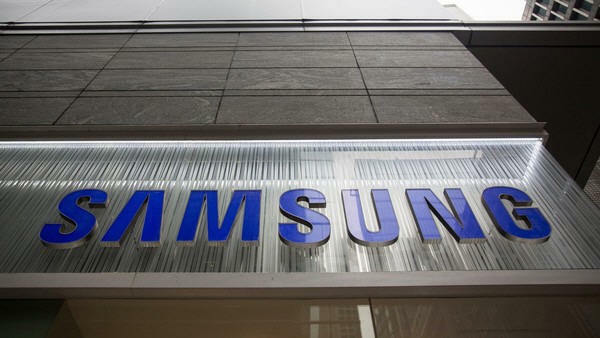 A few months ago, the New York group took at shot at the mighty Samsung, seeking to block an excessively cosy merger of two of its corporate affiliates. However, last Friday, after a noisy campaign, Elliott narrowly lost a shareholder vote. The contentious merger will thus proceed — even though many small South Korean shareholders backed Elliott’s campaign. What should investors conclude? One obvious lesson is that South Korea remains a place where vested interests still dominate. However, there is a second, even more important point: these days activist investors such as Elliott are testing new frontiers, even in hitherto hostile places such as South Korea. And notwithstanding Samsung’s victory there is every chance this trend will now accelerate — and in some unlikely places. To understand this, look at the numbers behind the activist game. A decade ago, dedicated activist funds had a mere $12bn under management, according to JPMorgan. Campaigns have — unsurprisingly — surged too. This year alone, there have been 190 attacks in America, up from 124 in 2010, according to Factset. More striking, though, is the success rate: five years ago, activists were only winning half of their battles. Last year, they won two-thirds. This reflects another trend: the sector is shedding some of its cowboy image. In public, figures such as Larry Fink of BlackRock are often highly critical of activists, deploring the short-term focus that their campaigns create. But, in private, large asset managers such as Pimco and Vanguard — and even BlackRock — are often quietly supporting activist campaigns. And that has not just raised the success rate but also attracted more cash from mainstream investors, particularly since many of those are desperate to find a lucrative way to diversify their investment portfolios in a world of hyper-elevated share and bond prices. “Activist investors may now control close to 8 per cent of total hedge fund capital,” as Bain recently observed in a report. As the sector keeps swelling, however, the question it faces (like any fast-growing area of finance) is whether it could become a victim of its own success. Its rapid rise is already starting to generate some political heat. Hillary Clinton, the Democratic contender in the US presidential race, for example, is expected to call for changes in the industry’s favourable tax treatment in forthcoming campaign speeches. The growth is also raising questions about overcrowded trades. In recent years, the sector has produced annual returns of more than 20 per cent. But after a decade of frenetic growth, much of the lowest-hanging activist fruit in the American corporate world may already have been plucked. The pressure is thus rising for the sector to find new frontiers to explore. Some funds are already doing that by changing their targets in America. As their firepower swells, activists are tilting at bigger groups, including profitable giants such as Apple. They are also shifting sector: although tech used to attract little attention from activists, it has been the main focus for attack this year (and accounted for 30 per cent of campaigns in 2014, according to Moody’s). Funds are now eyeing other long-ignored sectors, such as utilities and infrastructure. The other frontier is the world outside America. Until now places such as Asia and continental Europe seemed very hostile towards activists. But some optimists in the activist world now think — or hope — that is starting to change. There is little hard data to back that up — for now, anyway. Almost the only tangible victory won by an American activist recently in Asia, for example, was a campaign run by Dan Loeb to persuade Fanuc, the secretive Japanese robotic group, to raise its dividends. But fee-hungry American financiers are perennial optimists; particularly when they have a swelling pot of cash to deploy. Corporate boards around the world should take note: Elliott’s loss in South Korea may not mark the end of the activist tale. Particularly not given that the vote was so remarkably close.